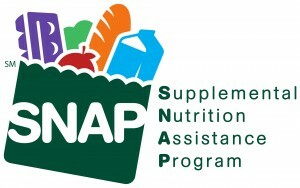 At the beginning of the year, Governor Tomblin imposed a pilot in nine counties across the state that would require Supplemental Nutrition Assistance Program (SNAP) – also known as Food Stamps – recipients to work 20 hours a week if they are able-bodied adults between the ages of 18 and 50; this pilot does include exemptions for individuals with dependents or who have mental or physical disabilities. During session, our legislature has been continuously proposing bills that would create stricter requirements and reduce SNAP benefits even further. While these work requirements may sound good, there are major issues we should consider before implementing such requirements. There are nearly 90,000 adults in West Virginia who would be affected by these work requirements; many are working but cannot find 20+ hours of work per week, as required by the current pilot. Many others are actively seeking work but haven’t found it yet. A strict 20 hour work week requirement would be workable if the DHHR could guarantee all cooperative adults placement in jobs, workfare, or recognized job training programs and supportive services (such as transportation assistance); unfortunately, DHHR cannot and does not have capacity to do case management for everyone who would be affected. Under the current pilot, there is no guarantee that people will not be cut off even when they qualify for exemptions or who use volunteer hours to meet the 20 hour work requirement. State food pantries, soup kitchens, and local charities are stretched to the limit already and fear these restrictions. The boost to our economy doesn’t come out of our state budget, as SNAP is a federal program; these SNAP restrictions could cost the state about $70 million a year, much of it spent at local grocery stores and farmers markets. Before we go through with enacting strict work requirements on SNAP recipients, we should consider these facts and put more time and thought into getting this right. We don’t want to harm these 90,000 people, the majority of which have incomes below half of the poverty line. Help our partners at AFSC-WV make these concerns heard by sharing your story! Tell us about your SNAP experience(s) here. How has SNAP helped you? Have you had issues with the work requirements? Have you been unable to find work? How has DHHR been helpful or unhelpful with your SNAP benefits? What else can you share with us that may help make legislators understand the importance of SNAP and getting changes to work requirements right? Don’t have a story of your own? Share the form with others who may. The more stories we collect the easier it will be to prove to legislators these sort of requirements hurt West Virginians all across our beautiful state. We’re known for our kindness and compassion; this should be extended to all Mountaineers regardless of income or ability to find work!